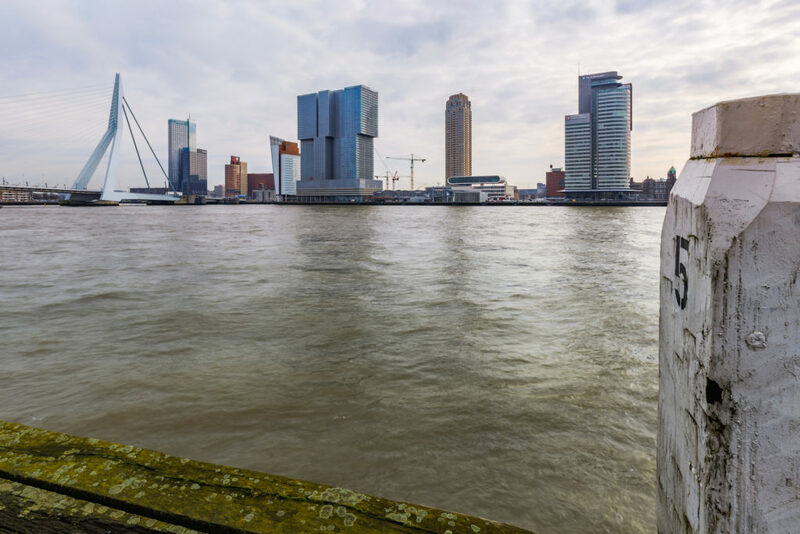 Kop van Zuid in Rotterdam, is the prominent location of the World Port Center designed by Sir Norman Foster architects. 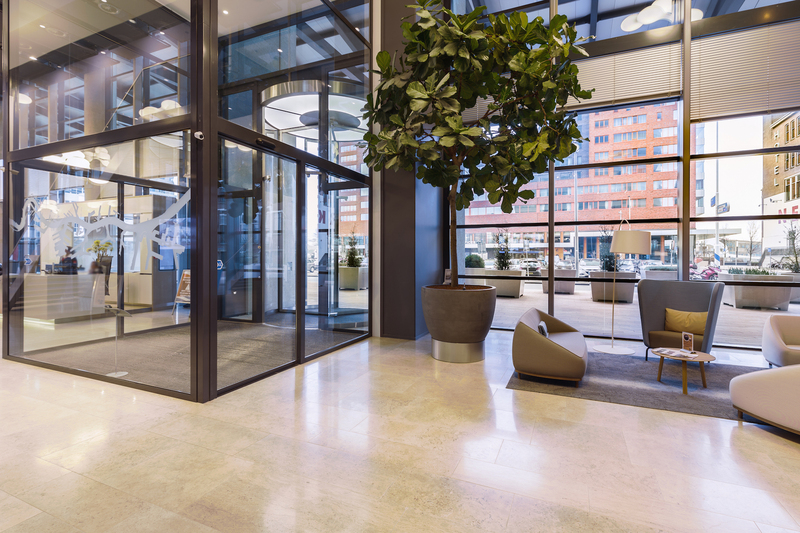 Graziosi Progetti was asked to renovate the entrance to incorporate a central reception area. 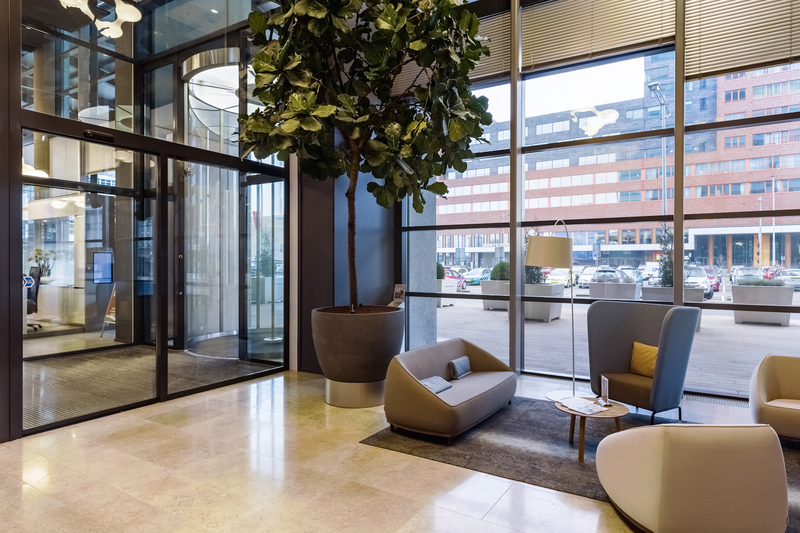 In collaboration with Bauporte, the architect designed a brand new entrance concept to the building. The biggest challenge of assignment was that the existing revolving door was out of proportion to the building. It was too low, too wide and looked dated. It stood away from the façade and it gave the appearance that it was divided. 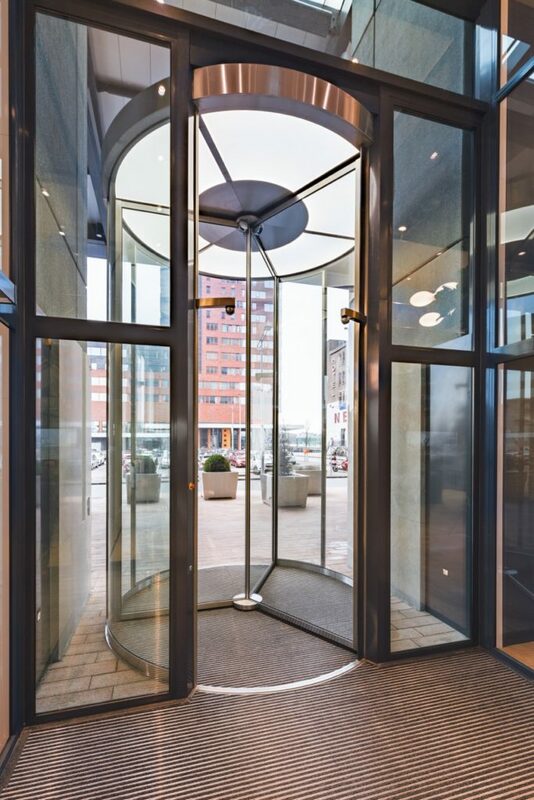 Graziosi Progetti architects in collaboration with Bauporte designed a sleek 5.5 m high revolving door with oblique LED lighting. The tall door is driven by an overhead drive in the canopy. The ceiling of the revolver is provided with unique integrated LED lighting which gives an ambient light. 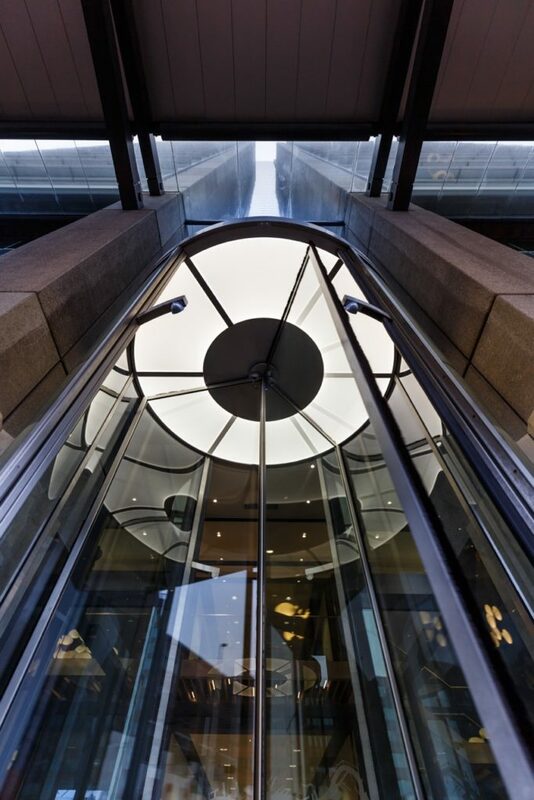 Despite the height of the revolving door it is fully compliant with the DIN EN 16005 safety standard. Sensor technology in the door makes collisions impossible. 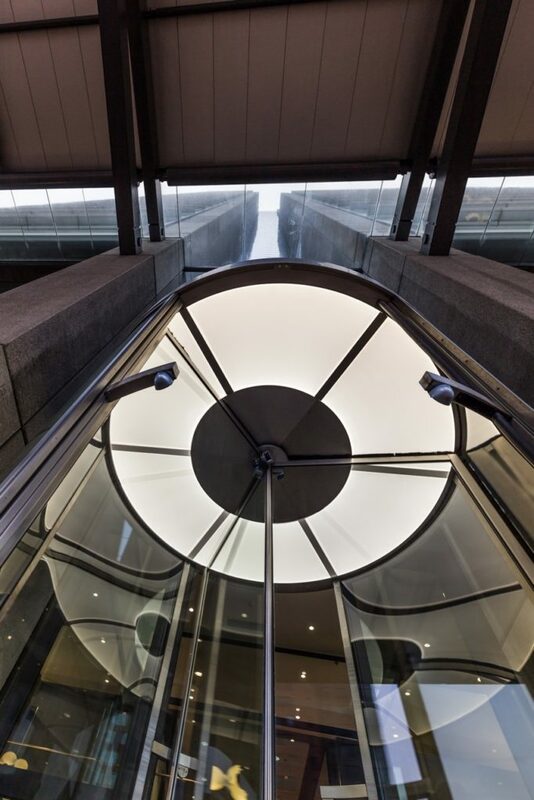 the curved night closure doors keep the door locked and secure at night. 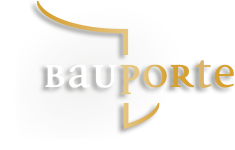 This door is unique, distinctive and represents the best of Bauporte entrance Design.